Welcome to the practice of John Blake, DDS, PC online. Our dentist and team go above and beyond when it comes to serving our patients. We know and care about our patients and their families. We will cater to your needs and make you comfortable. Our dentist and team are very professional. We are all experts in our fields and take numerous continuing education courses so that we can better serve you. 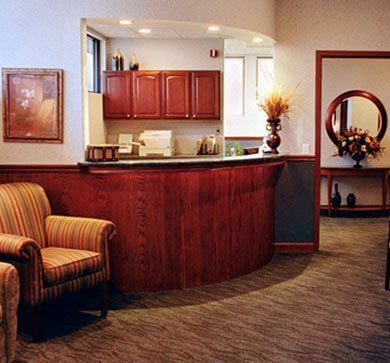 Our dental office is warm and friendly, and when you visit us, we will welcome you to our dental family! Dr. John P. Blake and our team are thrilled to treat patients of all ages. We provide a full spectrum of dental services in our office, so you can have all of your dental needs met in one location. Our dental office is modern and up to date. We are a paperless, green office. We keep up with new technology and use the best materials. We use digital imaging, which uses much less radiation than traditional X-rays. Our intraoral cameras are great for patient education. OralID™ allows us to detect oral cancer while it is still in its early stages. Since 1997, our dentist has happily provided dental care in Lake Orion, Michigan, and the surrounding areas of Oxford, Oakland, Clarkston, Metamora, Auburn Hills, and Rochester, Michigan. We encourage you to contact our dental office today to learn more about us and to schedule a visit. Follow the links below to view our featured sections. Dr. Blake and our team are committed to providing you and your family with comfortable, comprehensive dentistry.